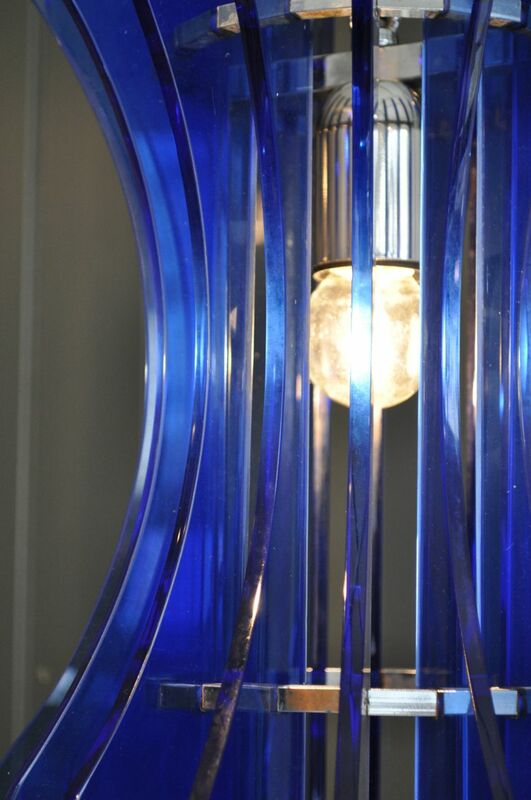 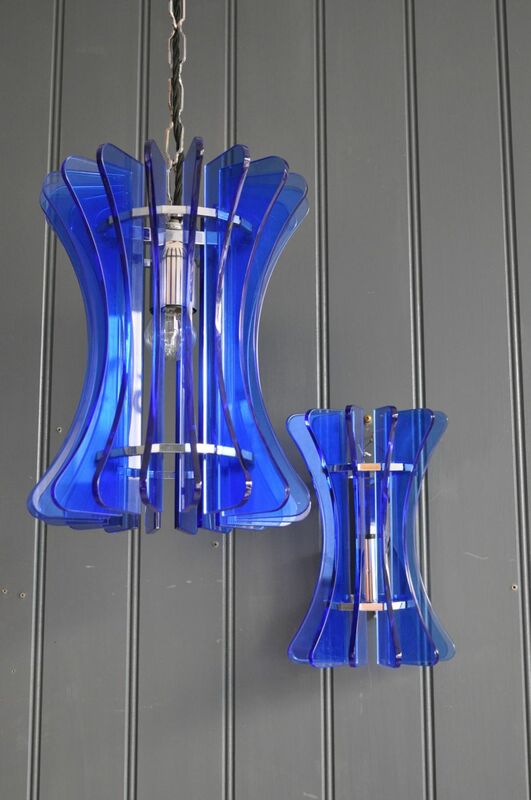 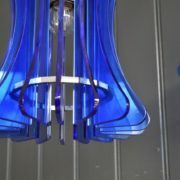 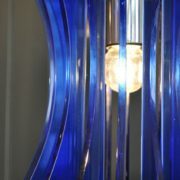 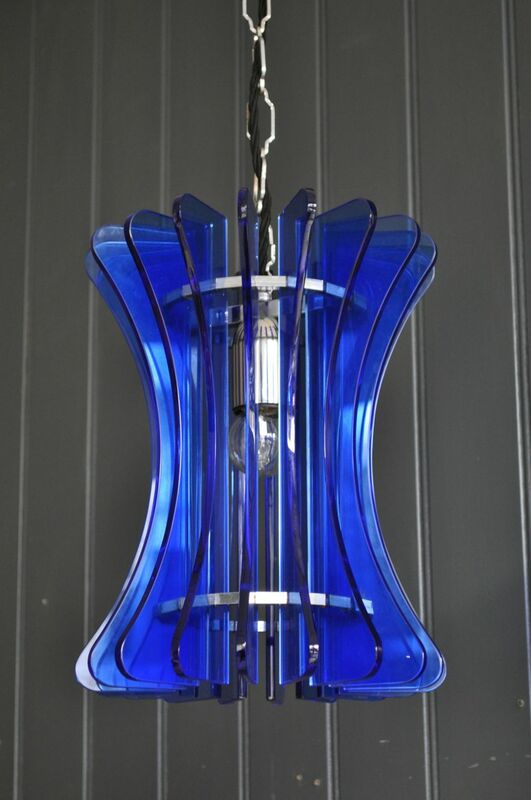 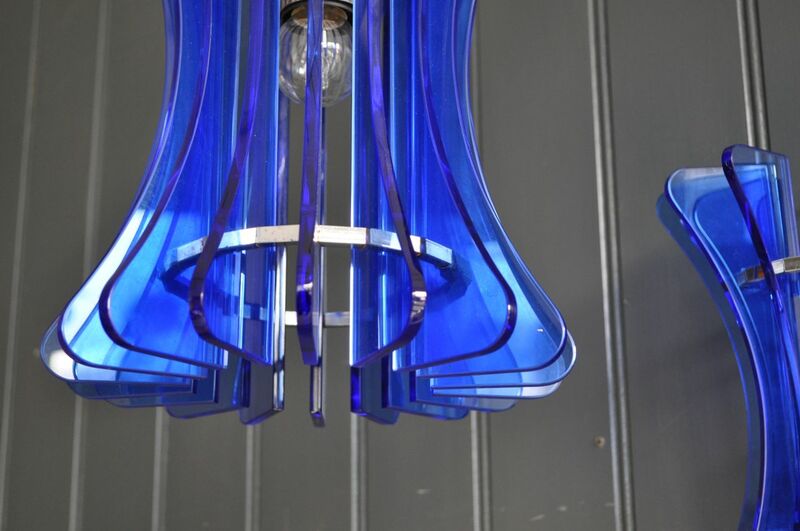 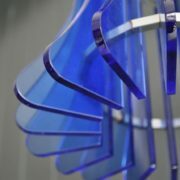 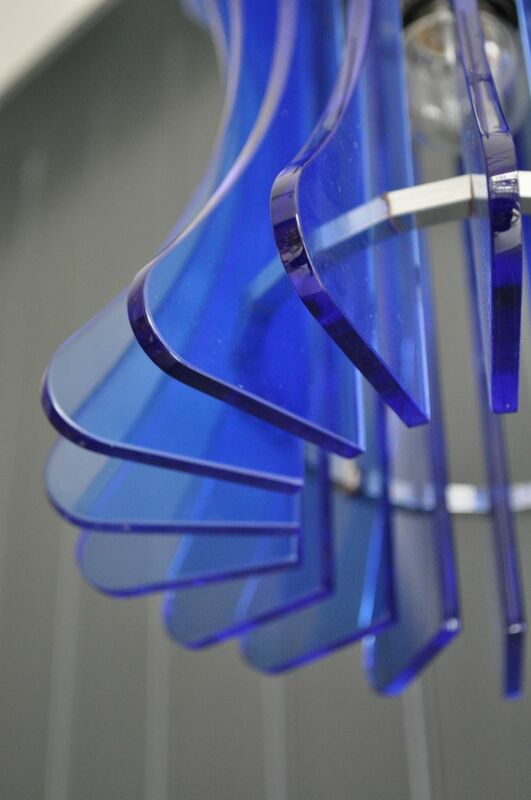 Stylish Italian ceiling lamp with 18 blue-glass fins radiating around a chrome frame. 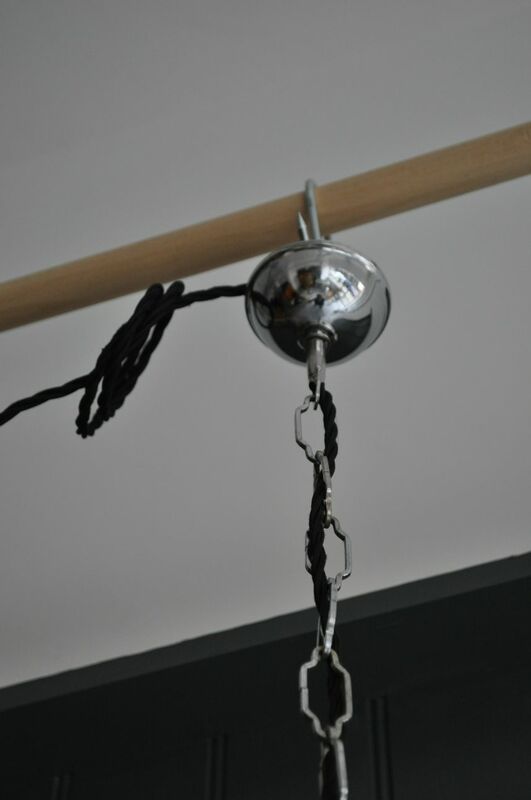 Original chain and ceiling cup, and newly rewired and Pat-tested and accepts ES bulb. 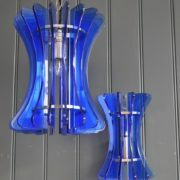 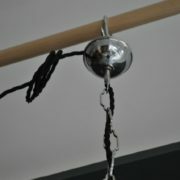 There are two matching wall lights also available at £350 the pair.